Metropolis (population 6,482) is located in far southern Illinois on the banks of the Ohio River. The "Official Hometown of Superman", so named in 1972, is located in south-central Masaac County. U.S. Route 45 is the main roadway to and from Metropolis and connnects it to Interstate Highway 24 about 2 miles to the east. Two major railroad lines, the At & St and the Illinois Central Gulf, intersect on the city's southwet side. Mud Creek flows through the north side of town as well. Fort Masaac State Park is located just east of Metropolis. Metropolis has a very rich and storied history not only in Illinois but also in the United States. A great account of the town and area history is found on the town's official website www.cityofmetropolis.com . Metropolis was settled in the late 1700s. An official town was not platted until 1839. Plans were actually drawn up to make Metropolis the new United States capitol in the 1850s however they never materialized. The town now serves as the county seat of Masaac County. The late 1800s saw several southern Illinois towns offering separate schools for the African-American children of the area. We believe that Metropolis Dunbar High School was established in town for the African-American kids in the early 1900s, probably in the 19-teens. We know that Dunbar High School continued in this capacity through the early 1950s. 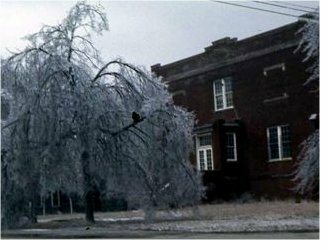 It was in 1953 that Dunbar High School was closed and consolidated with Metropolis Community High School. "The Metropolis Dunbar school, which was for African-Americans grades 1-12, became an integrated grade school for grades 1-6 in 1954. The name of the school was changed to Lincoln and it continued to be used until the mid-70s. Sometime in the late 70s or early 80s it was razed and today it is the site of a building that houses developmently challenged adults." Gene Miller adds that the principal the year that Dunbar High School held its final high school courses was Thelbert Renfro. Metropolis Dunbar quite likely competed in boys basketball with other schools of the area. We believe it is possible that baseball and track were offered as well. School team nickname, uniform colors, fight song, coach's names, and team records are all items we are interested in adding to this page. Metropolis Dunbar probably competed against other African-American high schools on this site such as those form neighboring towns including Mounds, Mound City, DuQuoin, Colp, Venice, East St. Louis, Madison. Edwardsville, and Brookport.